A group of local investors is planning to renovate a 1950's era building at 616 NW 5th Street into a restaurant and bar. 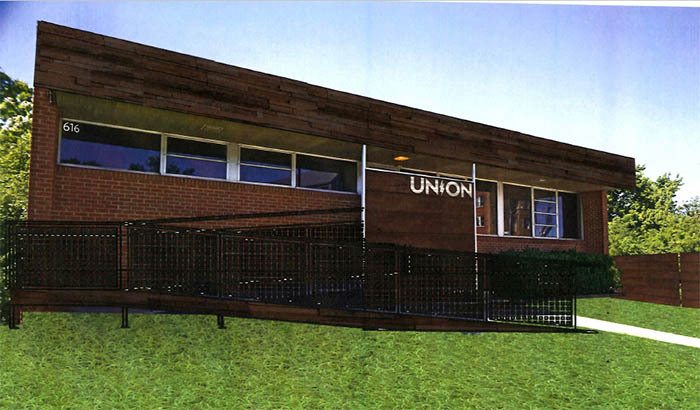 Dubbed the Union @ SoSA, the unique structure would feature two levels of intimate indoor seating and a large patio and deck to the south, featuring a bar fashioned from a converted 1971 31-foot Airstream trailer. The building was constructed in 1956 for the International Brotherhood of Electrical Workers, including a small 'speakeasy' in the basement level complete with a hidden door which will remain as part of the remodel. The 2,000 square foot stained-wood patio would have excellent skyline views to the southeast. The Downtown Design Review Committee will consider the plans on August 18th. I've been inside this building and it's super cool. Going to be a unique spot. 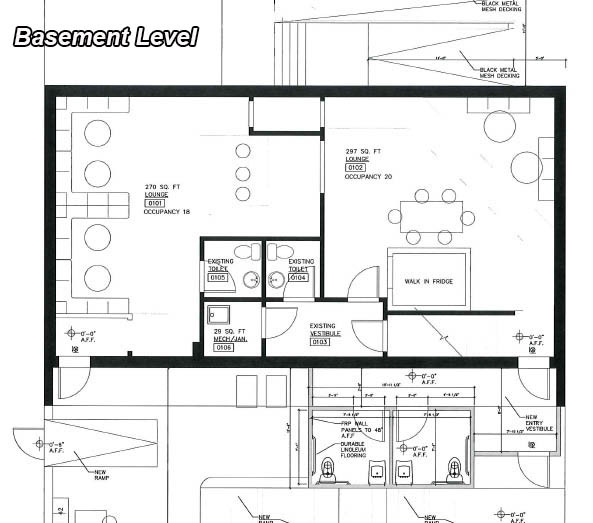 Also, there is an experienced bar and restaurant operator who will be involved here. This has the potential to be a grand slam. Very neat, but kind of out there on its own, it seems. I love how almost every new project has incorporated a large patio. 2 years ago we had very few options, and realistically there are only a few months out of the year that the weather will be a deterrent. Lots of NIMBY pressure to not allow this. Right but the concerns are the typical noise and parking stuff that are already addressed through ordinances and codes. The only thing the DDRC should be ruling on is the design but you can be sure the discussion will go off on all types of tangents. I would say that outdoor patios can succeed for over more than half of the year if set up well. While summers are unbearably hot, once the sun goes down, the patios still fill up. Generally, patios can do pretty well from March to November. The Pump provides a great example. Also, shade, misters, and heaters can help salvage some nights that might otherwise be a bit too hot or cold. ^Deep Deuce Grill does a great job at that with the heaters and fire pit. That's what I meant by my post... "only a few months out of the year the weather will be a deterrent" as in a majority of the year here patios are great. Yes with heaters and misters and retractable awnings all and the newish fun stuff, outdoor space is infinitely more usable than not that long ago. The outdoor area at Barrios should be open almost every day of the year. The great thing about being outdoors is that it invites you to stay and hang out, critical to the bar biz. Yep, sorry I somehow misread it. So, yeah, I agree. Really excited for these guys! I represented them in this transaction after touring the building with another client about a year ago. When I walked in I knew it could make a very cool bar with the history of that building being an old electrical workers union. They totally took to the concept and ran with it and I am super excited about the concept. There is not much yet in the immediate area, but drive just drive around.. Construction is going on everywhere in a 3-4 block radius and buildings (both commercial & residential) are selling for record SF prices. This project will be a homerun. Pete is right. One of the partners is currently a successful operator, and the two additional partners are really sharp guys that bring a lot to the table. They really know what they are doing & this won't be their only successful venture. Not super close but The Flea, Sunnyside Diner and Revolucion are in the area. From a commercial real estate leasing perspective patio space is great for bars because it's usually space that you don't have to pay per SF for. In this instance their patio will be almost as big as their inside footprint, but they are only paying a per SF price to lease the inside. In essence they have cut their rent overhead in half. It's a really smart move. OKC is not a market (yet..) that is charging per SF for patio space.. Except for the new SideCar @ Chisholm Creek..
That Sidecar CC will have a fantastic patio. The stakes keep getting raised, which is a good thing for all of us. 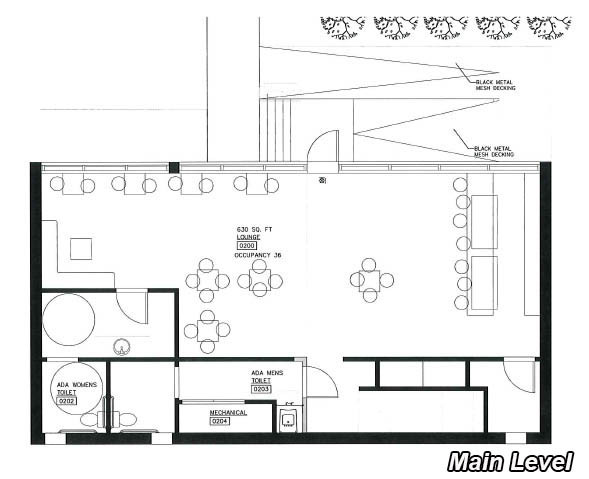 And while I'm thinking of it, Cultivar is moving forward with their plans for a rooftop deck, and it should be killer. The views on the patio should be second to none. I am guessing this will be a smash. After several surrounding property owners voiced strong concerns about parking, noise and light pollution, the two sides decided to continue the decision of the DDRC until the next meeting in September. STILL committee members talked about not 'liking' the size of the back deck and other things that seem to be out of their purview. They also suggested the rear deck be decreased in size, although it wasn't clear how that would begin to fit into their own guidelines. Reminder that this is a tiny building on a small lot, so without significant outdoor space I'm sure this venture would not be economically feasible. So, the applicant graciously agreed to meet with the property owners and discuss these matters, although I know that has already happened once. BTW, there was tons of talk about how this use isn't appropriate for the neighborhood. Of course, bars and restaurants are expressly allowed and in fact you don't even have to apply for ABC-2 (which is what this will be). This is going to an on-going battle between people who live downtown and others who want to do commercial infill and a huge amount of those complaints are completely mute, and for good reason. The whole point of an urban neighborhood is to have a mix of uses and not isolated residential like you have in the 'burbs. Exactly. If you want urban, then you're going to have to deal with stuff other than houses. Just like if you move into a residential area in, say, Edmond with a huge undeveloped tract of land behind you, then you better get ready for the possibility of a Walmart Supercenter. People always ask us how we can stand living directly across the street from a major church with stuff going on pretty much every day of the week and people parking on the street in front of our house. My response is that we moved down here BECAUSE we love the life and constant activity that midtown/downtown have to offer. 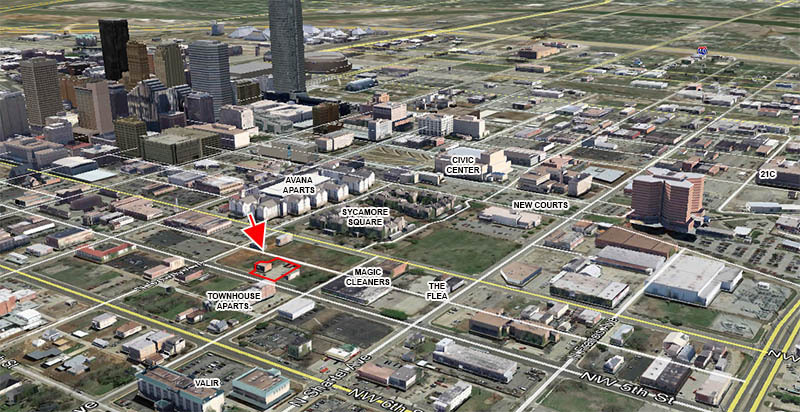 We're super-excited to be within walking distance of so many great things, and always excited at the prospect of more. With downtowners, so many want to live and work there because you can walk to great places but then they draw the line if any of them are *too* close to their own property. Of course, every single place is next to the property of others, but somehow that's their problem. I will also add that I totally understand people not wanting drunks loitering around their yards, or music so loud you can hear it through your walls, etc., but there are ordinances in place to prevent that. The mere *existence* of a new bar and grill on what was an empty lot or vacated building doesn't make those bad things happen. Bad people make those things happen. Good corporate management coupled with enforcement of ordinances if things get out of hand can ensure that the new neighbors are a benefit to the area.